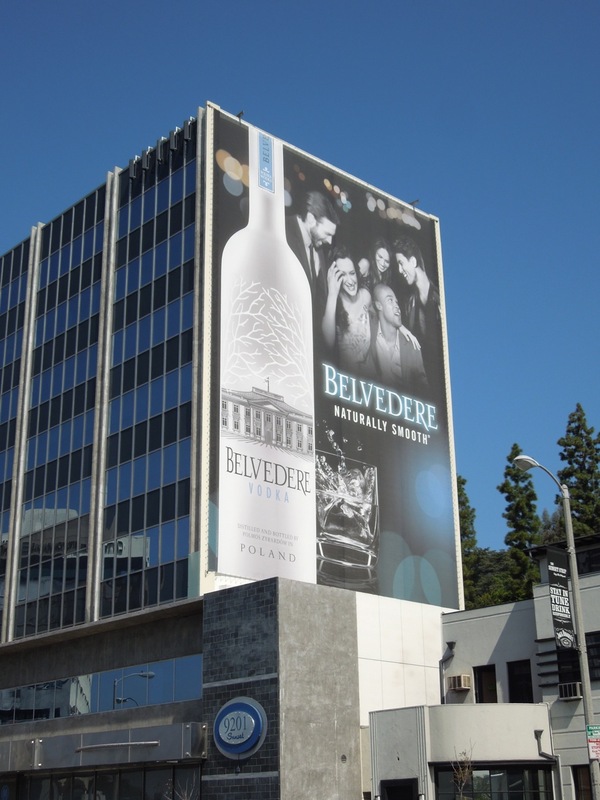 Belvedere Vodka obviously really wants you to know how naturally smooth its vodka is, as the brand has had a heavyweight presence around the streets of L.A. in recent weeks. The vodka bottle is still the hero in these ads, but the tagline has changed from its 'Believe - Trust your instincts' to this new focus of the product's taste. The giant-sized billboards were snapped along Sunset Boulevard in West Hollywood, one adorning the side of the Andaz Hotel, the other further west along The Strip on May 5 and May 22 respectively. 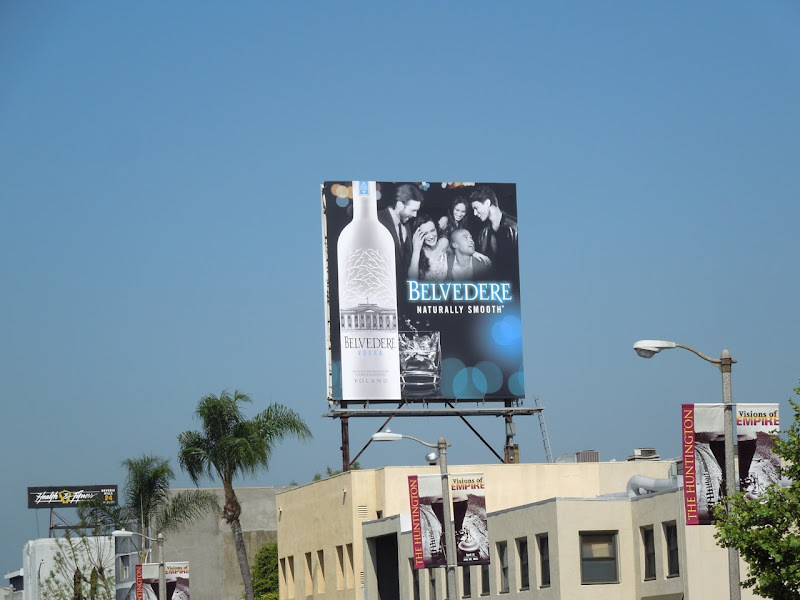 The smaller squarer format was also spotted along Beverly Boulevard at N Harper Avenue on May 5, 2012. 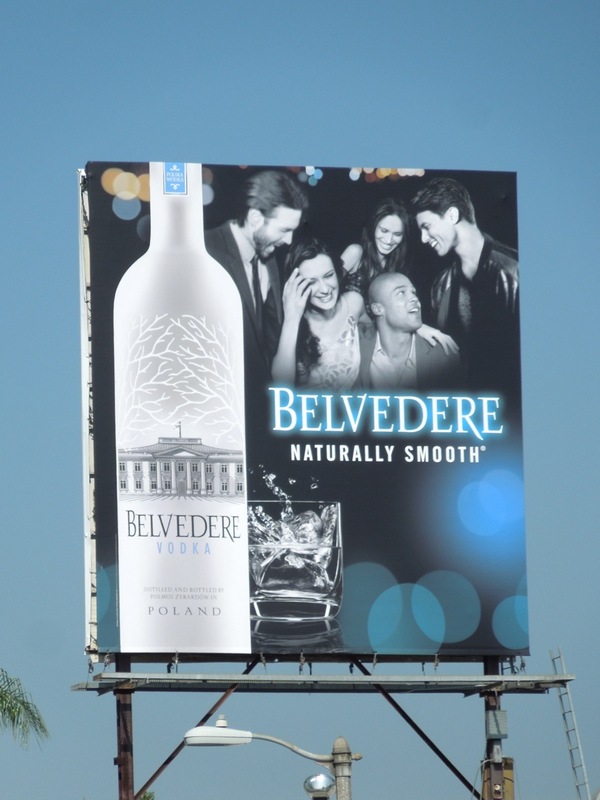 If you're a fan of the Polish vodka, be sure to also check out these Belvedere charity billboards featuring Usher, plus the 2010 Belvedere Vodka Believe ad campaign. 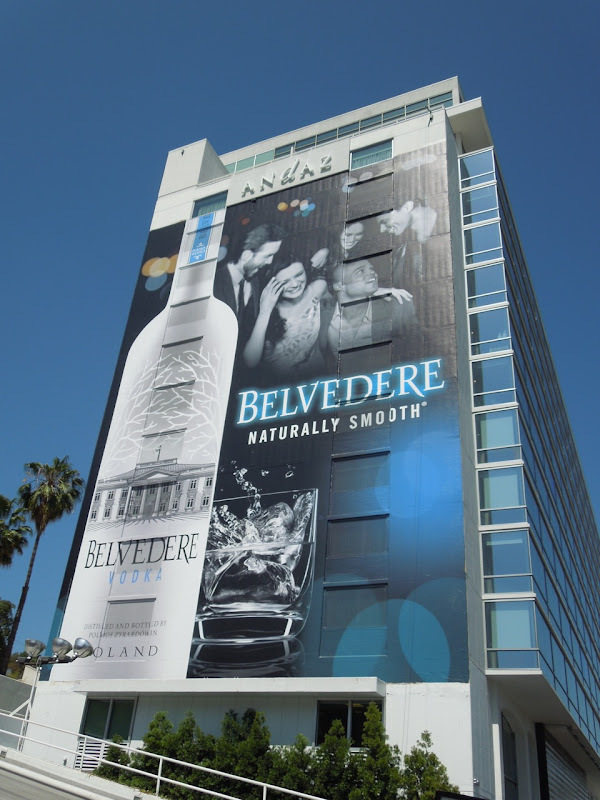 Daily Billboard thinks it's time for a taste test to see just how smooth this vodka is. 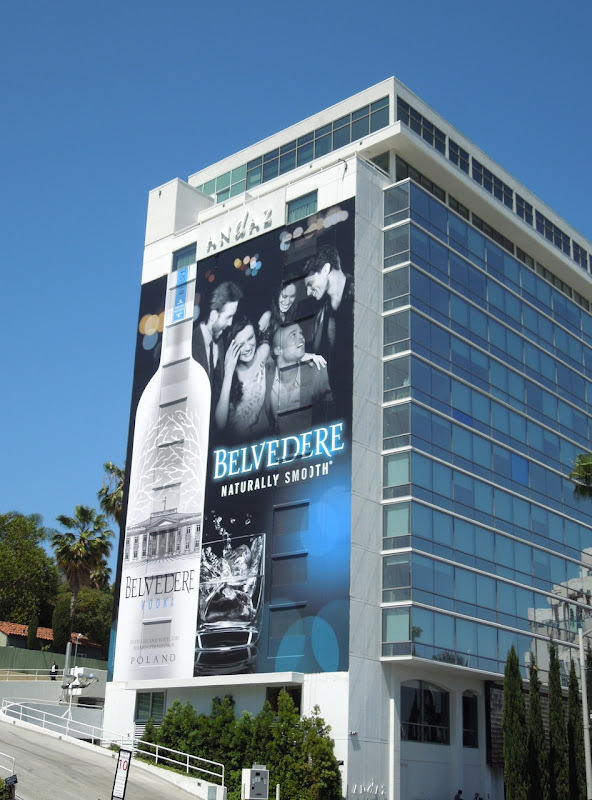 Anyone else fancy a drink, it is L.A. 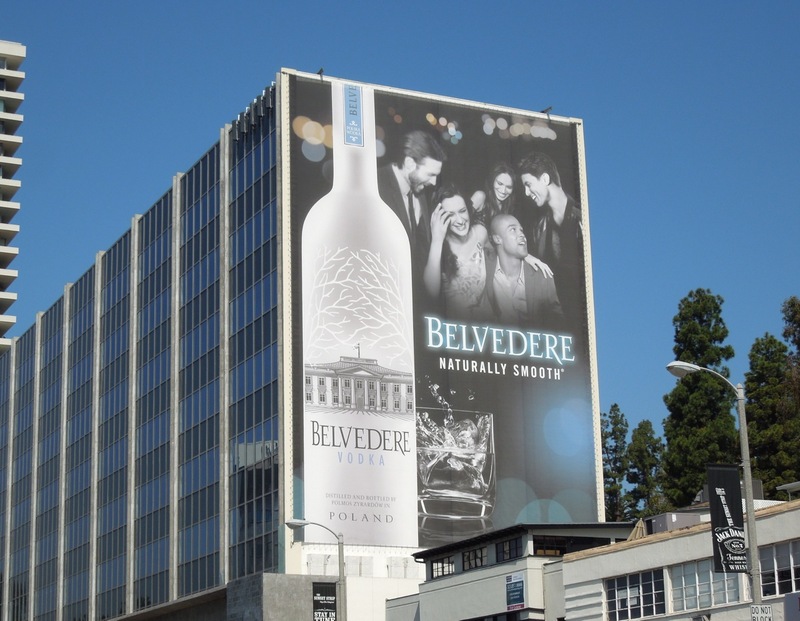 Pride weekend after all?